The head of the International Monetary Fund (IMF), Christine Lagarde, has been found guilty of negligence in France, but has avoided a fine or sentence. Directors of the IMF have stated they remain confident in Lagarde’s ability to lead the organisation despite the court’s decision. 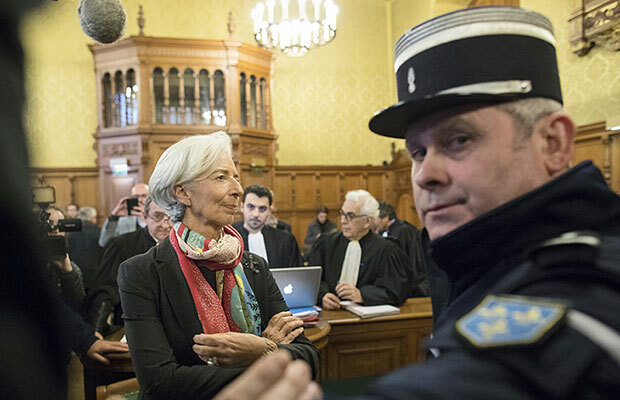 Lagarde was not present for the verdict – having left for Washington DC – but maintained her innocence throughout the trial, consistently receiving the support of the IMF, the BBC reports. The case was heard by France’s Cour de Justice de la République, a court that rules on cases regarding allegations of crimes committed by cabinet ministers while in office. Instead of judges, the court is predominantly formed of parliamentarians. The case dates back to Lagarde’s tenure as the finance minister of France under former President Nicolas Sarkozy. During this time, Lagarde approved a pay out to businessman Bernard Tapie, following a dispute over the value of a firm he sold to state-owned bank Credit Lyonnais in 1993. The case reached Lagarde in 2007, subsequently awarding Tapie €404m under binding arbitration in 2008. In 2015, a French court ruled Tapie was not entitled to the compensation and ordered him to pay it back. The court stated that Lagarde should have sought more advice before authorising the arbitration award. However, due to Lagarde’s good reputation, international standing and the extreme circumstances of the decision ­– which took place during the global financial crisis in 2008 ­– did not award Lagarde a penalty. Lagarde could have faced a fine of up to €15,000 and a year in prison. The Associated Press reported Lagarde would not be appealing the decision. “There’s a point in time when one has to just stop, turn the page and move on and continue to work with those who have put their trust in me”, she said.